I have a lot to say today, but let's talk cards first! I added 2 more cards to my holiday stash today. This first one is a shaker that I made with the Avery Elle set, Snow Much Fun, and the matching dies. For this card I used a technique that I haven't done in a while that has 2 steps: 1) partial die cut for the stamped image and 2) die cut the aperture. In my case, I partially die cut for the bear/bunny/sled image. 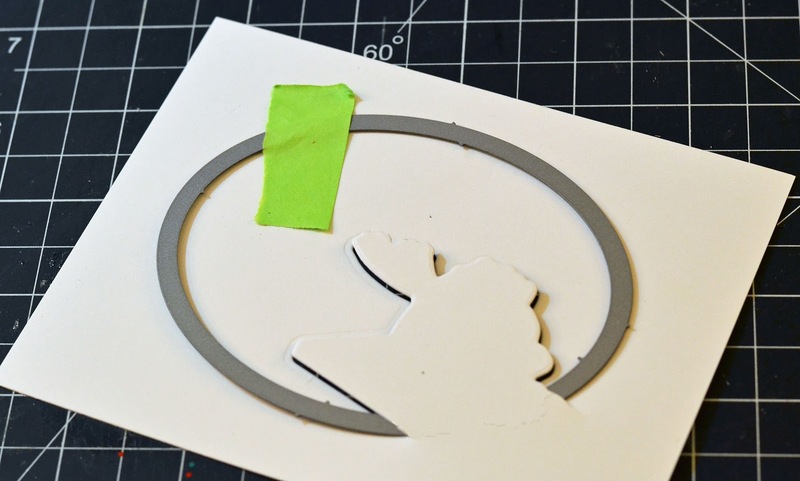 Then I used the oval die and cut the aperture. The key is to put the cutting edge behind the partial cut edge. This way the partial die cut stays intact and still attached to the panel. 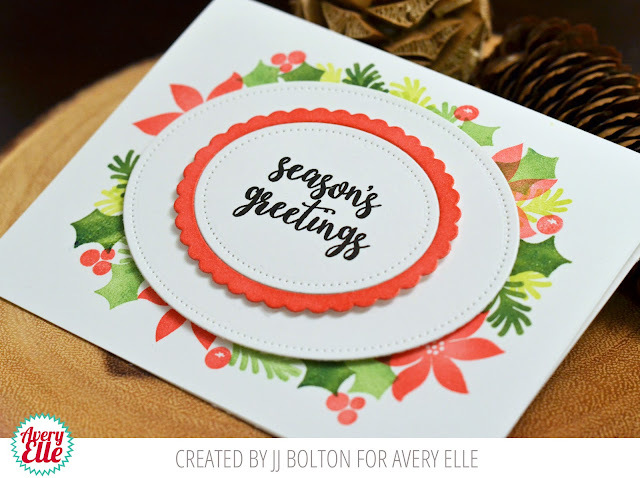 After I got my die cuts done, I stamped the image. 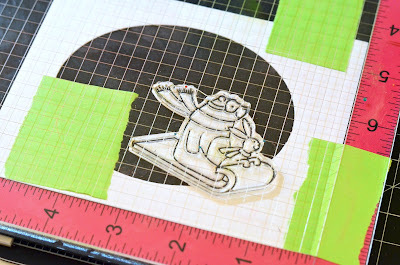 I needed a little help centering my stamp, so I used my handy Misti. Here's a little closeup where you can see that the stamped image is partial die cut but still attached to the panel. I had forgotten how much fun this technique is! I colored the stamp with some Copics (gave the sled a little woodgrain look). The shaker itself is backed with a cloudy background and filled with styrofoam balls and hexagon glitter. Seriously, so much fun! My next card uses the Christmas Florals stamp set and the Sweet Scallops die set. 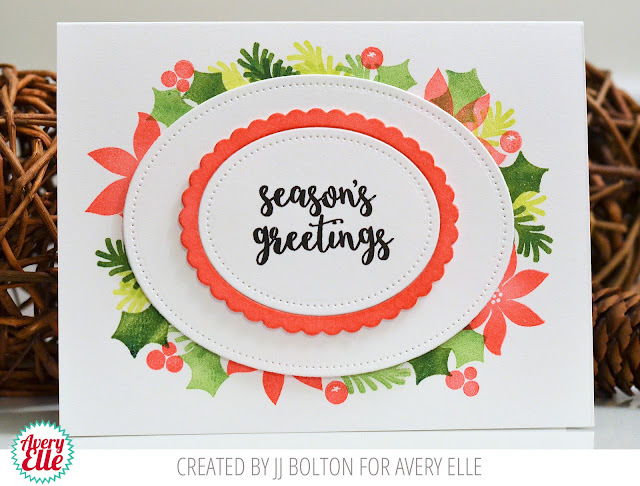 I just quickly stamped the flowers and foliage in a loose oval shape. Then I layered 2 die cut pieces over the stamped base. To get the right color match, I blended ink for the scalloped edge instead of using colored card stock. The font of the sentiment is so pretty. It almost looks handwritten! Before I go, I have some news to share. After more than 3 years and over 180 posts with them, I am stepping down from the Avery Elle design team. This past year has gotten exponentially crazy with my new responsibilities at work and the boys in their junior year of high school and something had to give! The Avery Elle team has been like home to me and I will miss working with those wonderful ladies! I want to say a special thanks to Jamie at Avery Elle! It's been an absolute pleasure to know you and to work with you! Thanks for taking a chance on me all those years ago:) Much love! Your shaker card is adorable, JJ. Love the use of styrofoam balls for your shaker and your colouring of the sled is awesome. For one brief moment I thought you had paper-pieced it. Also love the idea of your oval Christmas wreath. 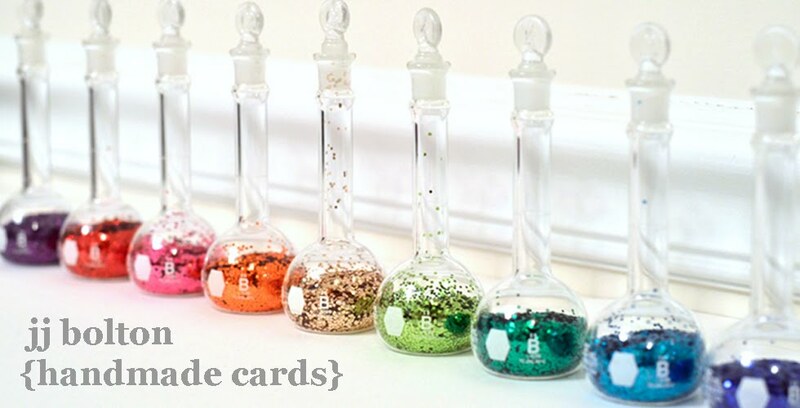 Love your shaker card & the 2nd one has my mind spinning with ideas for that layout. So sorry that you will be stepping down from AE but understand that family comes first. You will be missed! Both of your cards are wonderful. I will miss your posts at Avery Elle but I hope you will continue to make cards and post inbetween your busy life. Two more really stunning cards, JJ! 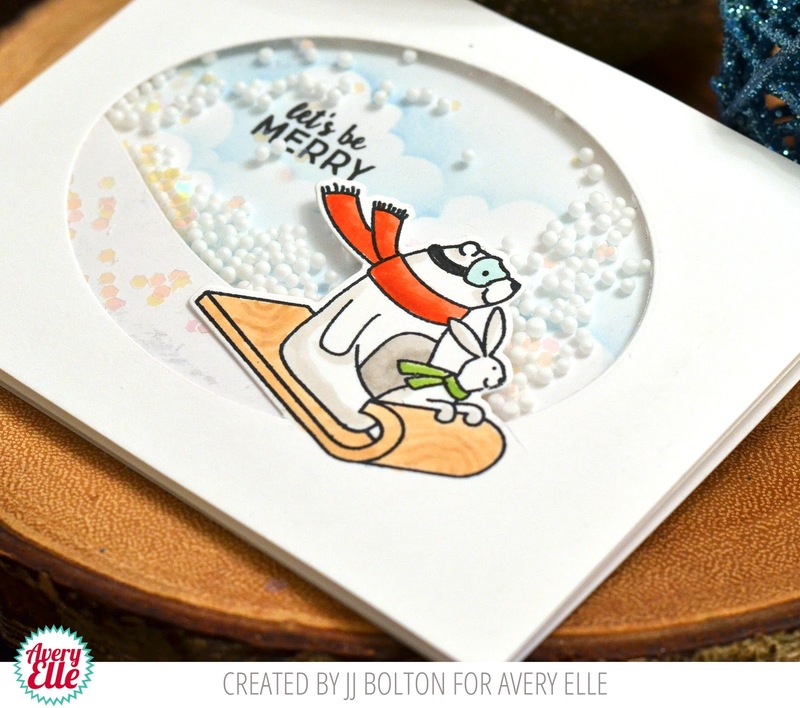 Your partial die cutting on the sled is such a great idea...Love it! I also love your Copic coloring, and how you stamped your wreath on the 2nd card! You make it look so easy! I will miss seeing your Avery Elle posts, and I'm sure the team will miss you, too! Sometimes a 'working mom' has to do what is best for the family, right? Your boys are very blessed to have such a wonderful and loving mom! Great cards! That's a long time to be with a team, and your work has been really wonderful throughout! Glad you're going to have some more time for family though!